For the past five years we have explored the renowned Kalahari on horseback to the east of the Makgadikgadi–Nxai Pan National Park. During that time we have been fortunate to have had the most astonishing experiences in this extraordinary landscape. We have cantered alongside the zebra and wildebeest migration. We have become familiar with the complex lives of different meerkat families. We have been blessed to behold rare desert-adapted wildlife. We have walked with the San Bushmen as they unlock the survival secrets of this harsh land. We have gasped in awe at the foot of the giant Chapman's baobab and we have cried despairingly at its demise. And we have had the privilege of having slept out under the stars in the middle of nowhere. But always, stretching 100 km away to the west as far as the Boteti River is a vast, seemingly empty, lesser-known land. 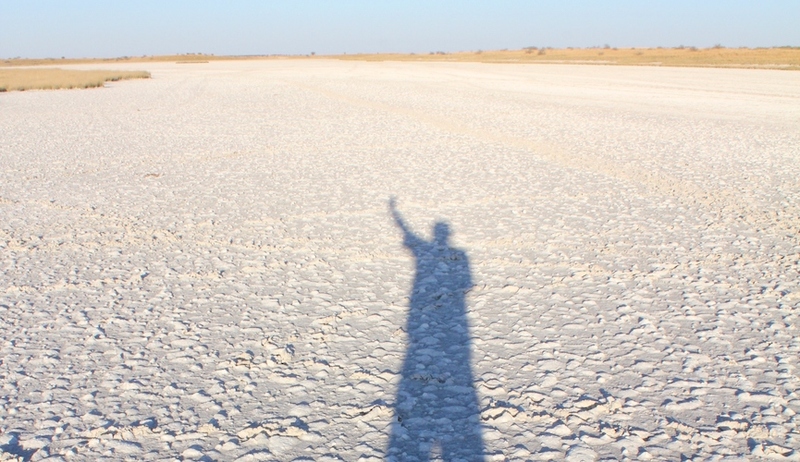 The Makgadikgadi–Nxai Pan National Park. Tales of this wildest of wild places continue to bewitch us. 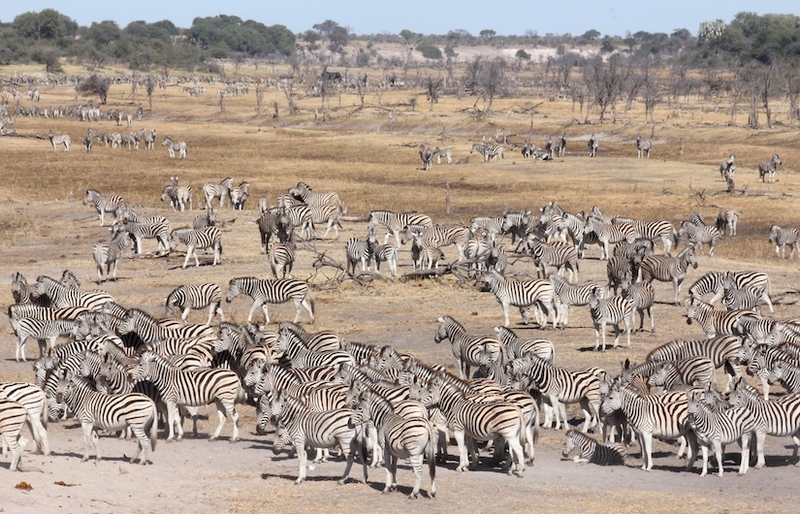 There is no human interference except for the odd dirt track in 4000sq.km It is across this windswept land the zebra we observe during the rains migrate to find water along the Boteti River. And how we have dreamt about riding across it. With this in mind, the desire to see it with my own eyes recently led me to venture out and spend time exploring these endless grasslands alone. Passing salt-encrusted pans, alluring palm islands and small herds of zebra and wildebeest suddenly there was nothing but undulating grasslands ahead – until finally on the horizon a few trees appeared. I had found the perfect overnight spot to camp, overlooking a recently water-filled pan. I have been privileged to have lived in some of Africa’s wildest places, but I do not think I have ever been so far away from another human being. I was immersed in complete and utter silence. My night spent alone was disturbed only by the distant cry of a black-backed jackal and the evocative call of a white-faced owl in the knobthorn trees above. Heading further west the following morning I came across herds of oryx and flocks of ostrich flecking the landscape. Before long I happened upon a place known as Njuca Hills, centred in these grasslands – and of course it was of no surprise that these “hills” only rose 8m above the environs. But in this flattest of lands they felt like hills and the view from the top of the rise was breathtaking. Steadily the open spaces became more vegetated and covered in scrubby bushes and small trees – blackthorn and purple pod terminalia. It was here that I encountered my first giraffe, elephant and kudu – all at least 15km from water. And finally the Boteti River – or what is left of it. The dried-up riverbed of this once vast river, with only a few remnant pools of life-giving water was dotted with thousands upon thousands of zebra, with wildebeest, giraffe, impala and elephant amongst them. I had followed the route of the zebra migration and arrived at their journey’s end: I had crossed the Makgadikgadi National Park. Now for our next ultimate challenge – to explore it on horseback: watch this space!